FR. NOEL SHETH died in July 8, 2017, while he was attending a conference in Bogota, Columbia. The information on this website is purely for the benefit of his many Friends and Admirers. Fr. Noel Sheth, S.J. is Professor of Indian Philosophies and Religions at Jnana-Deepa Vidyapeeth, Pontifical Institute of Philosophy and Religion, Pune, India, where he was the former President (Principal). 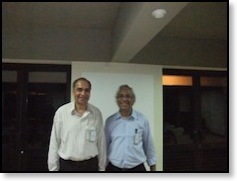 He is also a former Rector of Papal Seminary, Pune. 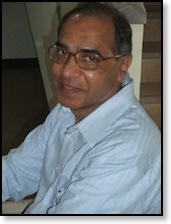 A reputed scholar in Sanskrit and Pali, his name is in the Who’s Who of Sanskrit Scholars of India. As far as Buddhism is concerned, he teaches a full course on Buddhism at Jnana-Deepa Vidyapeeth. He gave a course on Buddhism and Christianity at the Loyola School of Theology, Ateneo de Manila, The Philippines, in November-December 2009, and will be teaching a course on Hindu and Buddhist Spirituality at the University of Notre Dame, Indiana, U.S.A., in June - July 2010. He has presented research papers on Buddhism at conferences and has participated in and presented a paper at an international Buddhist-Christian Dialogue Meeting in Japan, organized by the Vatican Council for Interreligious Dialogue. He has delivered public lectures on Buddhism at different universities and also published articles on Buddhism on topics like: An Introduction to Theravada Buddhism, The Positions of Mastery and the Deliverances [these are forms of Buddhist meditation], Buddhism and Communalism, The Buddha’s Attitude to Caste, The Buddhist Understanding of Forgiveness and Reconciliation, Buddhism and Science, Freedom from Fundamentalism in Buddhism, Violence and Nonviolence in Buddhism, Christian and Buddhist Altruistic Love, Asian Buddhism’s Engagement in Emancipation Here and Now, The No-Soul Theory in Buddhism and Science, Christianity and Buddhism. The Workshop in Buddhist Studies, being organized by the JCEAO to bring together Jesuits in Asia engaged in dialogue with Buddhism and in Buddhist Studies is a laudable and important initiative, especially since Buddhism is a rather prominent religion in East Asia and originated in India. It is hoped that such workshops and conferences will give an impetus to mutual collaboration, enrichment, publication and support among Jesuits in Asia and this would be an important contribution to the Church in Asia by Jesuits in Asia. It would be nice if the Workshop could be a happy blend of prayer, meditation and liturgy, academic presentation of papers, and sharings and discussions. That would make it holistic. On several occasions, Fr. 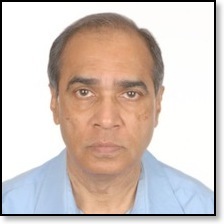 Noel Sheth has chaired individual sessions of Sections of the World Sanskrit Conferences. He was the Chief Chairperson or Convener of the "History of Religion" Section of the 14th World Sanskrit Conference, held in Kyoto, Japan, in September 2009. 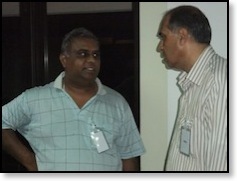 He was the only Indian to be a Chief Convener at this Conference and that, too, not a Hindu, but a Christian. His publications deal with the exegesis of Sanskrit and Pali texts, on Hinduism, Buddhism, and on comparative philosophy and theology. He is a member of several learned bodies. Till very recently he was a member of the Executive Committee of the Conference of Catholic Theological Institutions (COCTI) and President of the India and Oceania sectors of COCTI, and a member of the Rectors’ (Presidents’/Principals’) Committee and of the Administrative Board of the International Federation of Catholic Universities (IFCU). He is one of the five Vice-Presidents (one for each continent) of the Conference of Catholic University Institutions of Philosophy (COMIUCAP); he is in charge of Asia and Oceania. At Jnana-Deepa Vidyapeeth he has taught many courses in Hinduism, a course on Buddhism, and a course on Zoroastrianism, Jainism and Sikhism. He has delivered many public lectures in universities in India and abroad and also teaches in different universities in several countries.